Now we came to final phase of deploying WAR file. Here we have to copy WAR file from local machine to Amazon EC2 Instance. Install FileZilla and Open It. User: From the docs: "For Amazon Linux, the default user name is ec2-user. 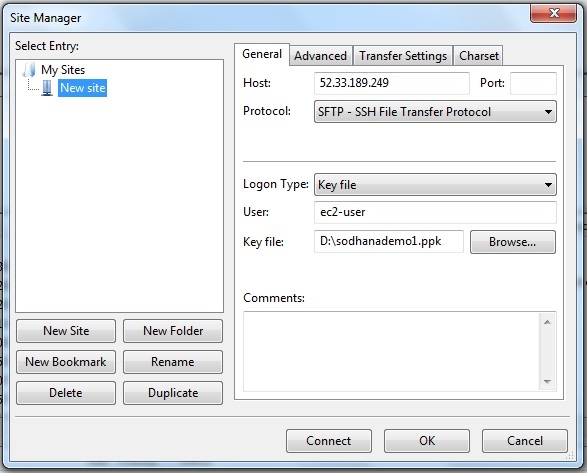 For RHEL5, the user name is often root but might be ec2-user. For Ubuntu, the user name is ubuntu. For SUSE Linux, the user name is root. Otherwise, check with your AMI provider." Hey how to connect to mysql database in my war...?? It is simple. 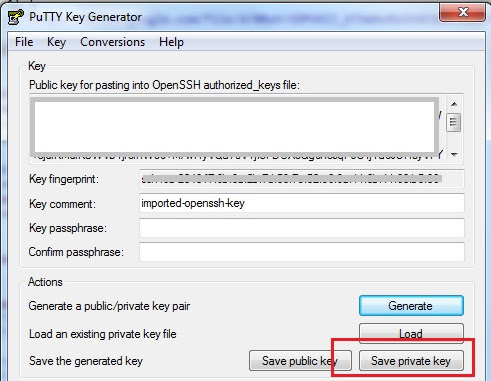 Install MySQL in local PC and EC2 instance with same credentials. Develop Java Web Application with local database. Export it into WAR file. 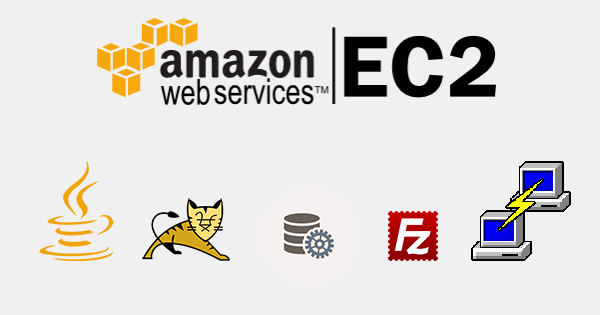 Deploy that WAR file to EC2. Now EC2 MySQL database will be local database to your deployed WAR file. Hi..I have install tomcat server successfully on aws ec2-server. but if we are changing the permission with 777, it will be open to the world which is security threat for our application. But how to overcome this ? 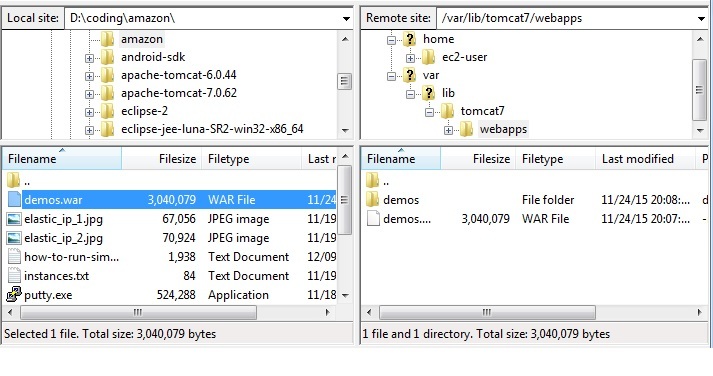 I have deployed the war file in tomcat and restarted the tomcat. How can we see whether the application is running or not?